A year ago on September 5, Jio opened up its stores to massive troves of subscribers who resorted to any and all means to get their hands on a Jio SIM card. 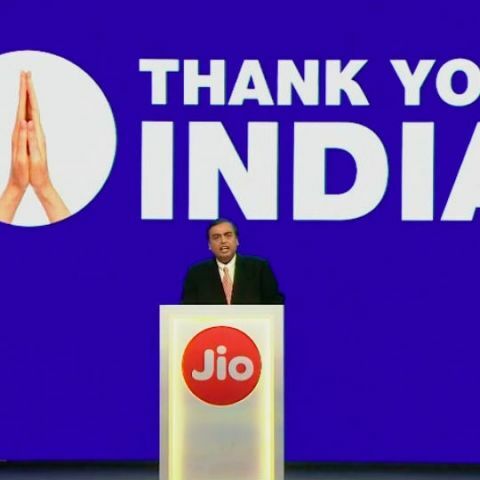 From bribing store executives to picking fights, Indians scrambled to get their hands on Jio’s highly attractive free calling and internet services, something that was unheard of in a telecom market ruled by the likes of Airtel, Vodafone, Idea and other incumbents. Just to put things in perspective, a year ago, Airtel offered a mere 1GB of 3G/4G data at Rs 259 for a validity of 28 days. Not only did Airtel add around 72,000 new sites to its telecom infrastructure in 2016-17, the company now offers 1GB 4G data per day for 84 days, along with unlimited calling at a cost as low as Rs 399. If this is not the effect of Reliance Jio and its “Datagiri” movement, what is? True to its promise, Reliance Jio has managed to build a far reaching 4G network and it’s not only Airtel that felt weighed down by this tremendous and sudden pressure to offer low-cost, value for money services. Almost all major telecom operators were forced to slash data prices, making the internet popular, affordable and mobile. In fact, mobile data consumption in India has shot up from 20 crore GB per month to over 150 crore GB per month after the entry og Reliance Jio. Let’s take a look at various aspects of the network and how it performed over the past one year. When it comes to 4G connectivity and network availability, Reliance Jio has managed to tick all the right boxes and there’s data to prove the same. Reliance Jio has the widest 4G network in India, with over 100,000 sites across the country. The company claims it will soon have a larger 4G coverage that the 2G coverage set up by incumbent operators over the past 25 years. Jio’s claims are quite believable and several internet connectivity metrics prove the same. As per a recent report, Reliance Jio’s 4G signal is availability 91.6 per cent of the time, a score that is 30 per cent above Jio’s competitors. Even from a global perspective, only a handful of telecom operators have ever managed to cross the 90 per cent threshold. As per the report, none of the three other 4G operators, Airtel, Vodafone and Idea, passed the 60% availability mark. 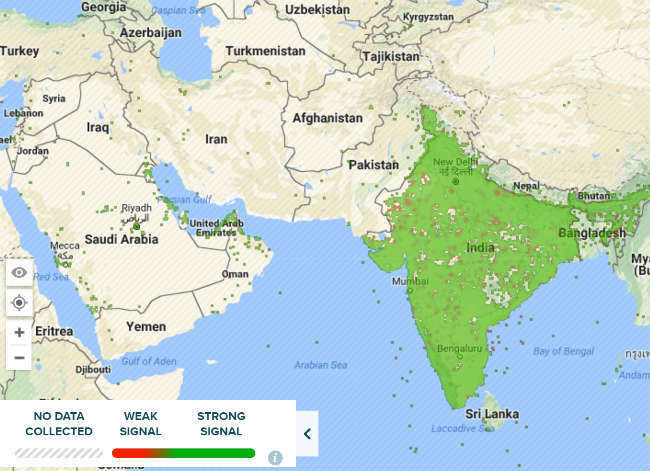 You can view Reliance Jio’s India coverage map below. Free data and unlimited access to the internet is, has been and will be Reliance Jio’s biggest meal ticket ever. Jio plans range from Rs 19 to Rs 9,999, offering a range of data options that vary from 200MB to 780GB of data, with different daily FUPs of course. As per the company, more than 100 crore GB data per month is consumed by its users. However, when it comes to data speeds, one can’t help but hear conflicting reports about Jio’s market leadership. 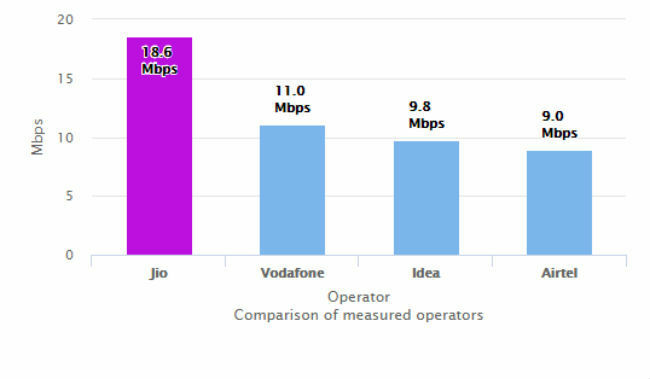 If you have been following Jio and its progress over the past year (we have), you would have noticed that most official metrics, that is those used by the Telecom Regulatory Authority of India (TRAI), point to Reliance Jio as the operator providing the highest average 4G speeds across India. TRAI data from June 2017 to August 2017 shows Jio’s average 4G download speeds anywhere between 18.7 Mbps to 18.3 Mbps. This information is crowdsourced by TRAI when people use its MySpeed app to test their data speeds. While average 4G download speeds of 18 Mbps may seem like an achievement given that global 4G download speeds average out at 17.4 Mbps, we have also seen conflicting reports from global internet performance metrics providers, the likes of Ookla and OpenSignal. At around the same time that TRAI declared Jio the fastest network in the country, an OpenSignal report indicated otherwise. The report which took into account the state of India’s mobile networks through participation by 93,464 OpenSignal smartphone users and 1.3 billion measurements, concluded that Airtel is the fastest 4G service provider in India, with average 4G download speeds of 11.5 Mbps versus Reliance Jio’s low 3.9 Mbps average. Another report by popular speed test provider Ookla, gave Airtel the crown of the fastest 4G network in India, sparking a furious row between the two telecom companies over misleading advertising. Reliance Jio deemed Ookla’s test results “incorrect” and called them a “travesty,” but Ookla defended its testing methodology with technical proof, which when put to the test by us, proved accurate and believable. A speed test analysis conducted by Digit across 18 cities in India also brought in mixed results and a whole lot of subscriber feedback about Jio’s data speeds. As per our findings, the peak download speeds for Jio varied from 1.35 Mbps in Central India to 48.26 Mbps in Southern parts of India. However, one must note that telecom operators are always expanding their infrastructure and these speed metrics could have changed from the time they were recorded. A more recent report from July 2017 indicates that Jio’s huge and fast-growing subscriber base is also nemesis to its network capacity. Also contrived by OpenSignal, the report points out that Reliance Jio is capable of providing 13 times faster data speeds to its users, but fails to do so because of its high subscriber base choking the network. India is divided up into 22 telecom circles that once had multiple operators licensed to operate in each. Since the arrival of Reliance Jio, consolidation has become a theme in the telecom industry, leaving a few key players that Jio needs to look out for. India witnessed the largest ever merger in the telecom sector with Vodafone and Idea joining hands to take on Jio. Aircel folded up and joined arms with Reliance Communications. Videocon telecom also sold its entire spectrum portfolio to Airtel, which also acquired Telenor in February this year. All these acquisitions spurred by the entry of Reliance Jio has left India with a handful of telecom operators, but a plethora of data and calling options to choose from. With the Voda-Idea merger, It is predicted that Airtel and Reliance Jio will control 80 per cent of telecom sector revenues for the next one year or more. However, this streak of rock bottom pricing and cut throat competition to acquire subscriber may be coming to an end. As per S&P Global Ratings, Reliance Jio will “rationalise its competitive strategy at some point over the next 12-18 months,” to focus on earning sustainable revenues. As of now, Reliance Jio subscribers continue to grow and its services continue to improve. What remains to be seen is how long Jio can keep up with its discounting practices. India’s telecom market is witnessing nothing less than the ‘Hunger Games,’ where the only winner as of now is the consumer. Let’s hope it remains the same way.